At Dixon Place, 161 Chrystie Street, Lower East Side. 7:30pm. Tickets are $15 advance, $18 at the door, $12 for students/seniors or with an NYC ID. More info here. Do you ever think about gardeners? Personally, I do not think about gardeners particularly often. But maybe that’s all about to change. 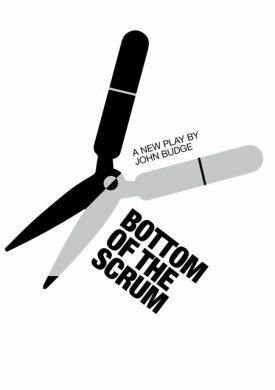 This new play, a dark comedy written by John Budge, follows the story of a gardener who starts working at a mansion. Horticultural employment at a fancy house may sound swell but he soon begins to realize that maybe the grass isn’t greener on the side of the mansion. Considering it’s a dark comedy and the poster depicts gardening shears, who knows what may transpire. 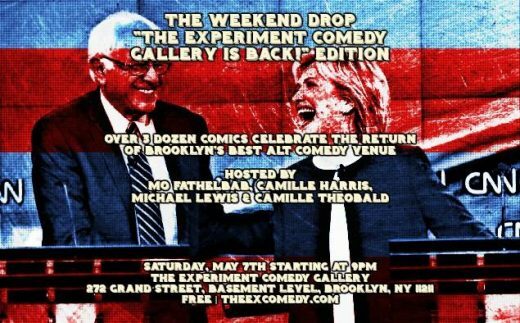 At The Experiment Comedy Gallery, 272 Grand Street, Williamsburg. 9pm. Free. More info here. This new spot for interesting comedy (and B+B fave) had a short-lived existence near the water in Williamsburg. Then, it appeared that their experiment was ending. However, after a Gofundme and a healthy dose of proactivity and care, they’ve found a new spot on Grand Street near The Knitting Factory. Come celebrate their triumphant return with a free night of comedy and partying, with laughs from over 20 comedians, including Elsa Waithe, who we recently interviewed. Hark—not all stories of closed art spaces have a sad ending! At House of Yes, 2 Wyckoff Avenue, Bushwick. 9pm. $30-80. More info here. 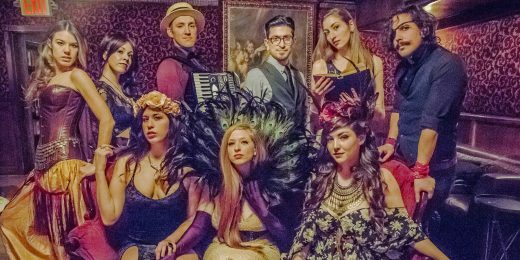 We’ve written up immersive cabaret-poetry event the Poetry Brothel’s sultry verses before, and I can only imagine that adding a little spookiness to the mix will make everything a bit more interesting. For their special séance show, some deceased poetic spirits will supposedly make an appearance. Award-winning writer Matthew Yeager serves as guest poet, and if your head isn’t already spinning with the thought of all that, there will also be tarot readings, burlesque, live music, aerialists, and more. Is it cheesy if I say it sounds like it’ll be to die for?